When you are buying a home, be prepared to act. Even in a challenging economy, well-priced and well-care for homes will go fast. Get Pre-Approved and know your Budget. Speak with a trusted lender in advance. Sometimes your own bank is not the best answer for home financing as different banks/lenders have different underwriting processes. Ask your broker to recommend a lender that they know has an effective process and competitive programs. Once you know your budget, get pre-approved and have the lender on notice to provide a letter of pre-approval specific to the property you are submitting an offer on. Submitting this letter with an offer strengthens the offer. Take enough time to familiarize yourself with the neighborhoods and make sure the home is what you and your family needs. Check out the home at various times of the day. Think about resale and look at values of other homes in the neighborhood. Check into the HOA if applicable to make certain it is financial stable and not a battle ground for unhappy neighbors. Check the schools. Jefferson County has some of the highest rated schools in the nation. Homes in our foothills communities spread across Park, Jefferson and Clear Creek Counties. Make sure you know what county your purchase is in and research accordingly. County logistics can impact value, property taxes and services. Make sure your offer contract allows you options. A good broker will make sure that you have outs. As a buyer, the primary contingencies (outs) in a contract are based on an inspection and obtaining financing. Even if the seller is selling a property “as is”, you can incorporate these contingencies. Many clients do not consider resale value because they do not plan on selling in the near future. Always consider it. You just never know if your situation might change. All the same criteria apply when purchasing land that applies to purchasing a home. There are a few other things to consider. 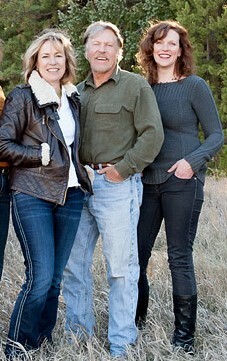 We own, sell and build on more land than any other firm we are aware of in the Foothills. We understand land, land preparation and land values. When you review your budget, look at the entire picture. Do not buy land without being clear on the potential cost of construction of your dream home on that specific piece of land. If it looks like a super deal, there is generally a reason. Low priced land usually means a high cost of land preparation when it comes to construction…difficult access, steep, rock…there are any number of factors. Don’t get excited about a “deal” until you know the story. Prices per acre are all over the place and are hugely impacted by location, views, topography, cost of construction, etc. Research your property with a trusted Builder (we just happen to be one!). They can provide you with comprehensive knowledge on estimated costs of construction on that particular parcel. Research legal access at the applicable county. We can assist with that. Most parcels require well and septic. Septic Systems must be 200 feet from any well. Make sure this works not only on the parcel you are considering, but you also need to know that it will work with septic systems and wells on adjacent properties. The distance requirement applies to all wells and septic systems regardless of whose property they are on. There are septic system options that can reduce this requirement. Make sure you review with a buider. Think about how you want to approach your home when built. If you approach from below, you need to consider steps or no steps into the entry, tuck-under or main level garage, etc. Think about snow removal (north facing snow stays longer), views, sun exposure, etc. Zoning varies and allows for different activities. For example, if you want horses, it must be zoned for horses. Wells have different usages. Make sure your well meets your needs. Household use only wells are just that. Domestic wells have various levels of outside watering…some are just for landscaping and some allow livestock as well. It is possible to bring water in if the property is zoned for livestock/horses but the well is household use. This involves a storage cistern and hauling costs so take that into consideration. Covenants – like any purchase, know the rules if you are buying in a covenant community. Platted and covenanted communities generally have legal addresses with lots and blocks. Legal addresses with Metes and Bounds do not generally have covenants. Know the rules, know the dues. Platted communities frequently do not provide surveys other than a community plat. This is generally sufficient, especially on larger parcels. Always get Title Insurance and if you or the title work shows any concerns, pay for a survey. If you do not get a survey, you are risking possible encroachments and are opening yourself up to potentially bad surprises in the future. In Jefferson County, the tax rate on land is about 3 times higher than on a residence. When you builder your home, the overall tax bill may not change significantly. Financing – financing on land is offered by fewer lenders than home financing. We can recommend a bank that has excellent land and construction financing options. Plan on needing approximately 20% down. We also know of many parcels that have seller financing options. Whether you are buying your first home of your tenth, purchasing a home can be a daunting process. It should also be fun and exciting. Having the right broker who is knowledgeable about the community and neighborhoods can help you weed through properties that only look great on line. Commissions for Buying agents are paid by the Seller. And although as a Buyer, you are not responsible for fees, you still get the same level of service with personal representation, guidance through the process and invaluable information regarding the community, neighborhoods and value. Having representation throughout the process of obtaining financing should also be a huge benefit. As builders and brokers, we have close relationships with banks and other lenders that can be an invaluable resource for you that can eliminate major headaches. In other words…get help! It’s free!